The need to make sure your company is GDPR compliant is bigger than ever. 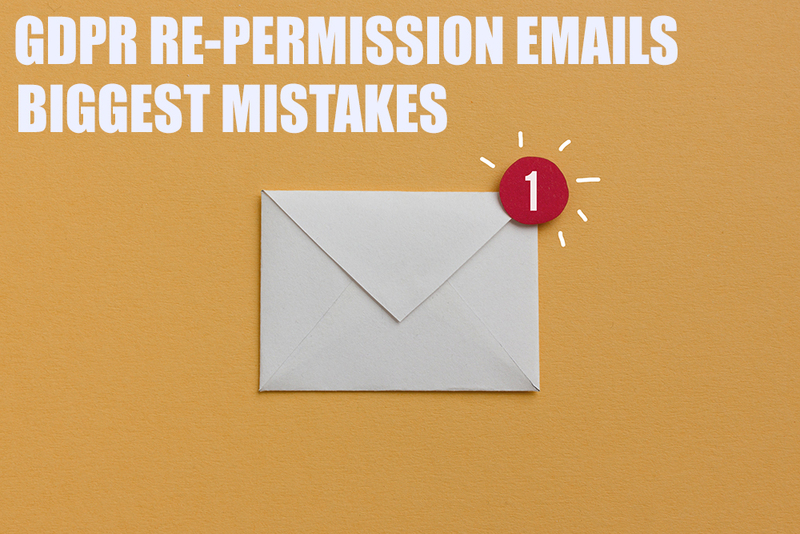 With that deadline looming, it’s easy for many companies to make massive errors when sending out their re-permission emails. It may be too late for you and now you’re wondering how you’re going to rebuild your database after people decided to simply, not reply. A lot of companies – perhaps you – have taken the view that it’s safer to get re-permission from their entire database, no matter when and where the data came from – GDPR compliant or not. This is where the issues start. If your subscribers decide to not respond to your re-permission email, they must be removed from your list – you’ve just lost a lead. In fact, you’ve probably lost more than one lead. Imagine how many of these re-permission emails are landing in people’s inboxes – we can tell you now; it’s a lot. So, what is encouraging anyone to open yours? People are receiving endless information about GDPR and most of them don’t understand it all – they simply understand that now, they can easily unsubscribe from all those emails they never read. Not only this, but these re-permission emails are simply reminding people of the companies that have never previously contacted them – the companies that really, haven’t upheld their promise of deals, offers and updates. Will they really open an email from a company who doesn’t contact them normally, will they feel the desire to give their re-permission to this company? You know the answer. Most people’s inboxes are brimming over with newsletters they have signed up for over the years and they can’t wait to get your re-permission email just so they can ignore it and ensure they really are removed from this list and all the other newsletter lists. It’s an easy way for people to simply start over and choose only the newsletters they really want. So, what is there to do now you’ve encouraged your database to break up with you? It’s time to rebuild and rebuild with GDPR compliant consumers who have actually taken an interest in your brand. We can help you do just this, by encouraging consumers to make an informed choice from the get go. We’re fortunate enough to not have to send any re-permission emails because our system has been GDPR compliant for as long as we can remember. Call us now and we can help you rebuild your customer database.